Wooten Hall renovations, which were supposed to be finished by December, are now expected to be completed Feb. 8. During the project, there have been several complications including the flooding of the first and second floors this past Thursday. However, King said that has not been the case. King’s office was flooded last week due to an overflowing urinal on the second floor. According to project manager Bill Myers from Vaughn Construction, the bathroom floor drain was stopped up because of debris from the renovations. This caused the water to overflow into the hallways, flooding the carpet on the first and second floors. Myers said they will have to replace some of the carpet, but Wooten is still on track to finish in February. Vaughn Construction has faced many complications with the building including the asbestos treatments, wiring and piping complications, flooding and bringing the building up to code. The renovations on Wooten Hall include four egress stairwells, an exit door, new sidewalks on the north and south side, brand new LED lighting, updated finishes on the corridors with vinyl sheeting, new paint, new wood ceilings, fire dampeners and a sprinkler system. The project started in May 2018. In June, construction started working on asbestos treatment throughout the building. During this time, the building had to be cleared to properly treat it. From there, the construction continued in the fall semester with students and faculty occupying the building. The project was meant to reach its substantial completion in December but failed to because of the complications with Wooten. The budget for this project was $4.76 million and the project is currently within budget according to the project manager. The building was constructed in the 1970s when life-safety regulations didn’t require a fire suppression system. The purpose of this project was to bring the building up to code. 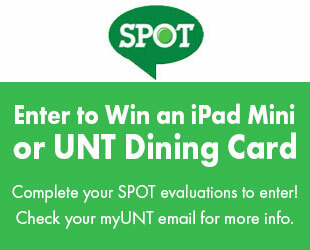 Myers said UNT hopes to continue updating and improving Wooten in the future. 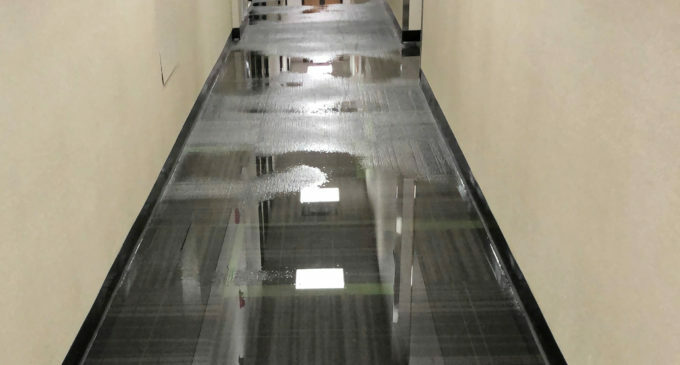 Featured Image:Flooding on the second floor of Wooten Hall. Image Courtesy Cece Hannah. The best way to “update and improve” Wooten Hall would be to bulldoze it and start over. The contractor responsible for the tile workers washing tools in the toilets should have to pay for the cleanup of the flooded areas and repairs to the plumbing.